SEVERAL COWBOYS roam the outskirts of town in a TRUCK. The truck seats eight. The town is rife with zombies. These cowboys have EPIC DRESS SENSE, by the way. As a RESCUER, you ride or drive in the truck around town following your COMPASS to find OBJECTIVES. The SUPERIOR BOOZE AND FIREPOWER must be found and brought back to the TRUCK. Any SURVIVORS must be RESCUED on sight! If one of you dies, he will respawn at a random but almost certainly unsatisfactory position somewhere in the town, with SURVIVOR (as opposed to RESCUER) status. Armed with only pistol and axe, and deprived of your hat, and with it your dignity, you seek the truck and your cowboy brethren. They, surely, will lend you a hat, that you might feel whole once more. 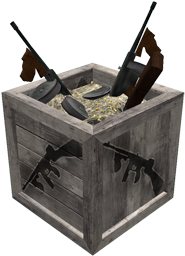 The CRATE, once attached to the truck, allows you to replenish your ammunition there and gain the use of the THOMPSON ANTI-ZOMBIE GUN. The BOOZE, once attached to the truck, allows you to drink deeply and gain up to 125% of your health. After you have acquired both the booze and the firepower, it is just possible that your truck may break down under the strain. 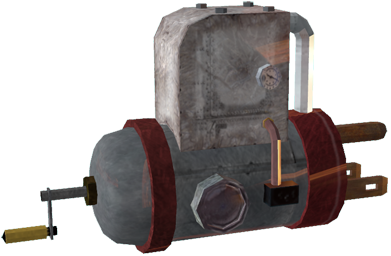 Should this happen, you will need to proceed on foot across town to the local ELECTROCOMBOBULATORY POWER FACILITRON and find some kind of GENERATOR with which to jumpstart the vehicle. Having done so, you will need to blow town.